Initially launched on July 15th, feedback from app users surrounding the campaign has been overwhelming. Users enjoy the simplicity and convenience of paying for fuel from their mobile phones, as well as savings greater than any other offers or rewards currently in the market. Gulf Pay has seen tremendous success as a result of the partnership, with close to 50% of all transactions coming from Discover cardholders. In the first four months of its launch, the app has far surpassed initial goals and has generated positive buzz for both Discover and Gulf. Users automatically save $.15 cents off each gallon of gasoline (up to 20 gallons per visit for a total of 18 visits) simply by downloading the free Gulf Pay app, linking a Discover card within the mobile wallet, and using it as their method of payment. The extended campaign will continue to provide users with exclusive savings through January 15th. The program will continue to be supported through advertising from both Gulf and Discover. The support will come from promotional materials at participating stations, digital and radio advertisements in the New England market, and targeted email and social messaging. 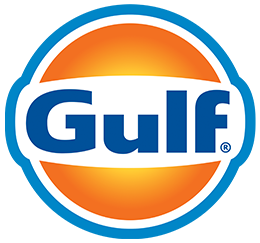 The Gulf Pay app launched in both the Apple App and Google Play stores in June and is currently accepted at participating Gulf retail fuel locations throughout select New England and New York markets. To learn more and start saving, visit www.discovergulfpay.com.